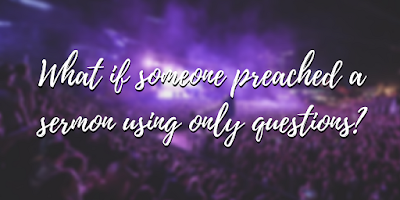 Sermon Leftovers: What If Someone Preached a Sermon Using Only Questions? 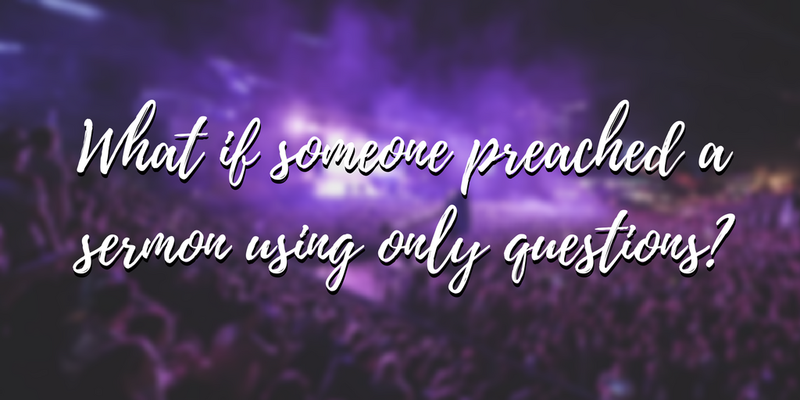 What If Someone Preached a Sermon Using Only Questions? Is it possible that some might find it offensive? Can truth be communicated via interrogation? Do people engage more with questions or propositions? Is it possible to craft questions which stimulate deep contemplation? What if the questions helped to unpack the text? Don't you think a well-written question can lead to truth discovery? What if some of the questions demanded immediate contemplation? What if some of them called for discussions? Could you ask the people to talk to each other about the answer? Would you ask the person sitting next to you right now what their opinion is? Could you build in time for contemplation and discussion? Do you think some people might be so struck by one question that they might not be able to shake it? What would a question like that look like? Is it better to confront someone's shortcomings with a question or an accusation? Isn't that the point of a sermon? Shouldn't a preacher always be confronting our shortcomings? Does new knowledge mean anything without life-change? Are people willing to change their lives if they don't see any problems? How can a sermon point out someone's problems? Would it help to force them to think about themselves? Would it be better to have them think of themselves in light of the text? Could a question help them do that? Don't you think this would get tiresome after 40 minutes? Who said a sermon has to be 40 minutes long? Did Jesus ever ask questions?